It’s already more than 3 years ago that we launched our first pair of boots. The boots are named Classic Boots as these are our ultimate classics, our all-time favorite that never goes out of style. 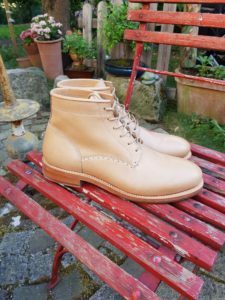 For the production of these boots, we sourced a small factory in Portugal which are using the authentic craftsmanship that isn’t standard anymore nowadays. Our boots are made with the famous ‘Goodyear Welted’ construction. This construction is known of the fact that your pair of boots will shape to your own feet, so in fact, you shape your own and most comfortable pair of boots ever. Another key feature of this construction is that it allows the wearer to re-sole it over time. This means that your pair can last for ages, year after year. Our brand’ philosophy is that we aim to create products that stand a lifetime. Or at least, products that aren’t season driven, but products that can be worn year in, year out. That means also that we’re focussing on timeless designs, but also on the most durable, and the highest quality standards. The fact that the leather of your boots will age, and even your sole will wear out over the years, doesn’t mean that they are ready for the trash can one day. To stimulate the eternal life of our, and your, boots we introduced our Use, Repair and Renew campaign. With this campaign we would like to stimulate our brand’s philosophy, to keep our products alive. With this campaign, we ask people not to throw away your pair or to leave it in your closet if you decided to stop wearing them. We now offer you the opportunity to send us your worn pair of Classic boots so we can give them a second life. When we received your pair we will make them as new again. Together with our clobber partner, we will re-sole the boots with a new out- and insole, give them a full wax treatment, lace them up with a new pair and so on. They will be ready for another round. A new round that will takes years and years. The renewed boots will be available through our website as re-used pairs. So you can get your hands on a ‘limited edition’ pair, a pair that is worn in and shows some unique leather aging already, but with a full treatment. This second life philosophy emphasizes our slow fashion approach as we don’t make fast fashion, but slow fashion. We embrace the authentic craftsmanship. Craftsmanship that isn’t standard nowadays, but the main reason why we started our brand 5 years ago. When you decide to join our Use, Repair, Renew philosophy we will award you. 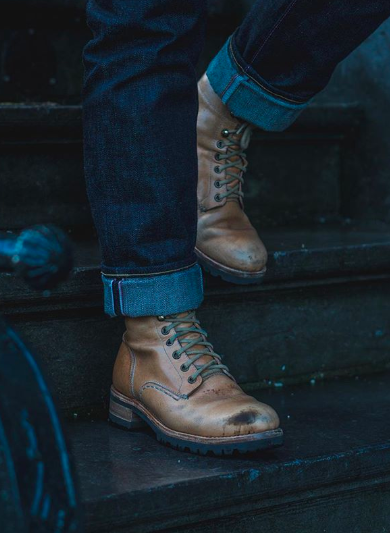 When we received your pair of Classic boots we will send you a personal coupon with a code that grants you with 50% discount on a new pair of our footwear collection. So you can go for a new pair of Classics, but you can also choose a pair of our Sneakers or Heritage boots. That’s what boots for boots is all about. 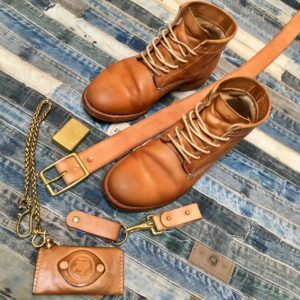 As we like transparency, and we like to share (unique) stories we ask people also to send their boots story as their most recognizable and memorable moments while wearing the boots. But also how you treated them along the way. And your personal experiences with the boots. This will makes each story more interesting, and also contributes to our family and friends character of our brand. We kindly ask you to Use, Repair and Renew. We’re looking forward to hear your boots story. And to make your boots ready for a second life. Boots for boots it is.